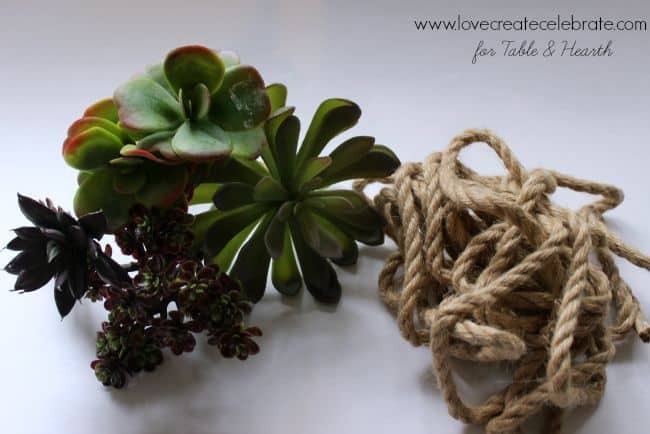 The last, but not least, guest poster is Lindi from Love Create Celebrate, who is showing you how to make this awesome little rustic succulent centerpiece! 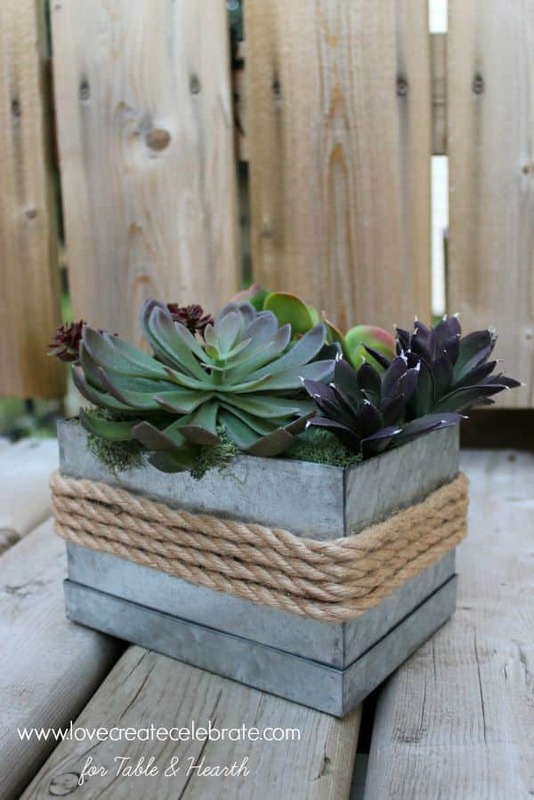 I absolutely love the combination of metal and rope and who doesn’t love succulents?! Enjoy!! Hi Everyone! 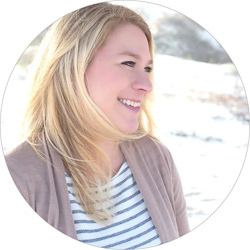 My name is Lindi, and I blog over at Love Create Celebrate, where I blog about everything that I love, create, and celebrate. I’m thrilled to be guest posting for Emily today! 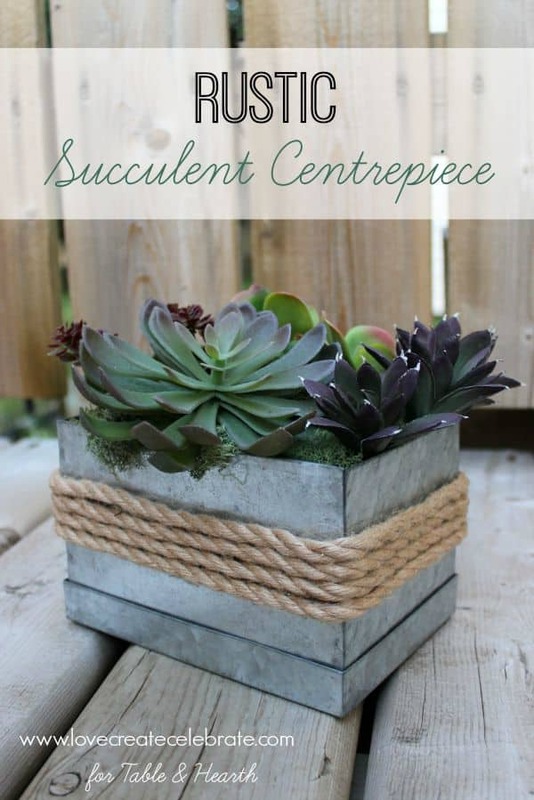 I hope you like the Rustic Succulent Centrepiece that I’ll be sharing. 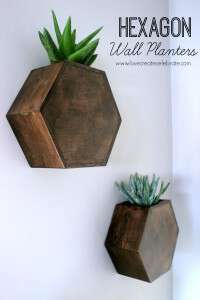 As a DIY blogger, I LOVE making things that are versatile. That’s one of the reasons I love this project! 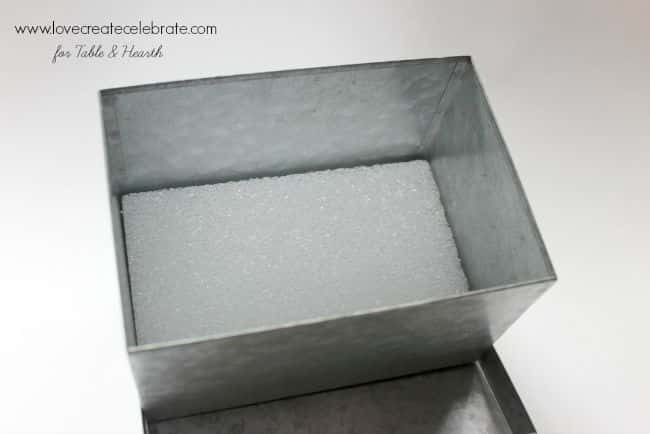 Not only is it fast and easy to make, but it can be used all year round to decorate your home! 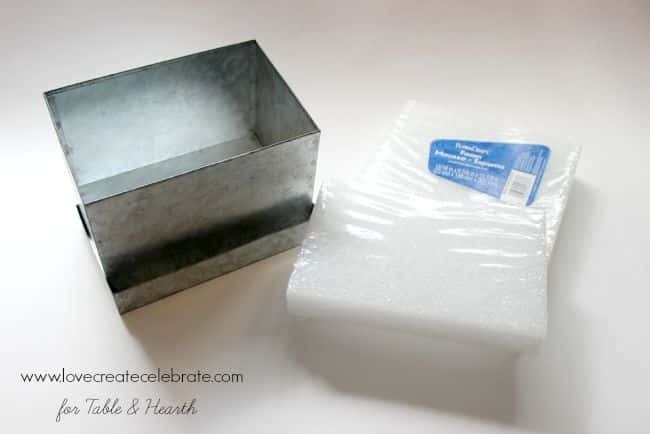 To start, you want to cut down the styrofoam so that it fits perfectly in the base of your tin. I used the bandsaw to cut mine (and prevent a huge mess!). 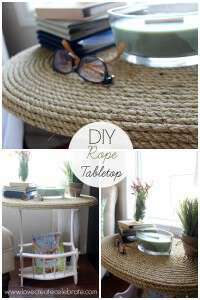 Next, you want to grab your rope and epoxy (very fast drying glue!) 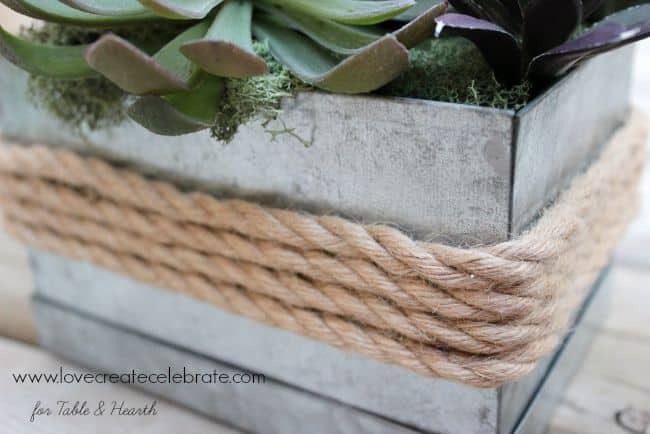 to adhere the rope to the sides of the tin. I used epoxy for this because it dries very quickly, goes on clear, and doesn’t leave clumps or strings of glue behind the way a glue gun sometimes does. I found the best way to do this was to spread the epoxy around the box, then wrap the rope around and hold it in place for a few minutes while the epoxy sets. 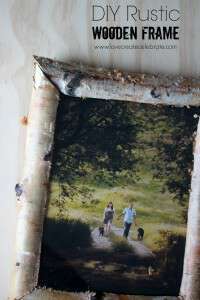 For more Rustic inspiration, check out some of my favorite posts below and visit me at Love Create Celebrate. I’d LOVE to see you there! 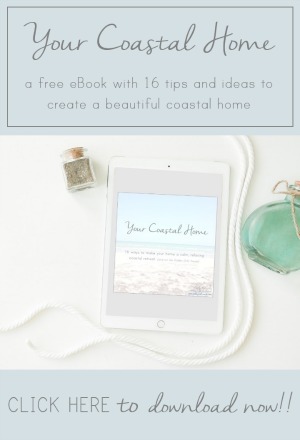 Or you can follow me on Pinterest, Instagram, or Facebook! Thank you for having me here today Emily! 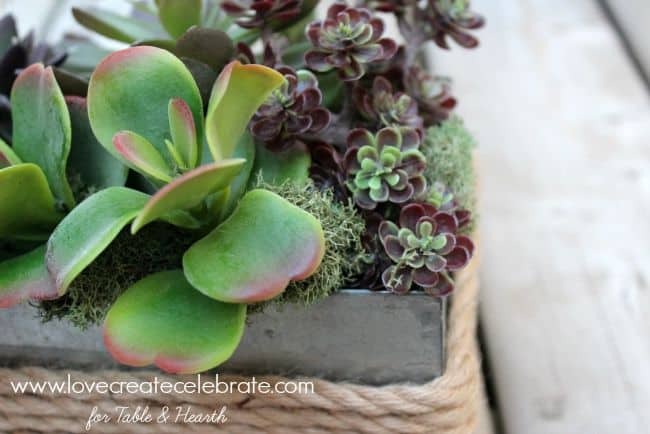 This centrepiece is beautiful! It would look lovely on a kitchen table or a coffee table!! Thank you! I completely agree, and I think it would look great any time of year :) So glad you like it! 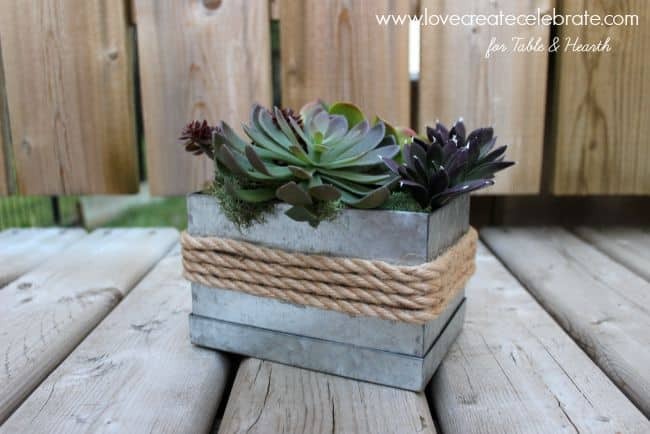 I love the rustic look of the planter! Super simple and elegant! Pinning and sharing!